On 12 October 2011, Professor David Solomon was awarded the Prime Minister's Prize for Science 2011 for his role in revolutionising polymer science. Professor Solomon, a professorial fellow in Engineering, was joint winner of the $300,000 prize with Professor Ezio Rizzardo from CSIRO. At the award ceremony in Canberra Professor Solomon acknowledged his colleagues commenting that he was delighted to have won this prestigious award, paying tribute to his co-recipient Professor Ezio Rizzardo and the entire research team. 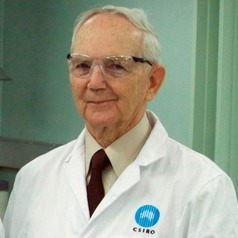 When we think about everyday items such as paint, tyres and our computers, it is likely that some of its component materials will have been produced using revolutionary chemical theories and processes invented in Australia by Professor Solomon and his collaborator with Professor Ezio Rizzardo. Their techniques are employed in almost every university chemistry department, and the laboratories and factories of up to 100 companies. This formidable team has been able to harness the power of organic chemistry to provide unprecedented control over the structure, composition and properties of the polymers that are now used in almost every facet of our lives. In essence, they devised a means of custom building plastics and other polymers for tasks at the cutting edge of technology. Professor Solomon, is still pursuing research as a professorial fellow at the University of Melbourne.